A futuristic hover bike, the new Apple Watch and a new kind of solar energy plant that sets birds on fire as they fly overhead were just some of the technologies that made headlines this year. Here&apos;s a look back at the 10 most popular tech stories of 2014. In the past two years, Google has spent billions of dollars snapping up various companies that make everything from robotics to wind turbines to smoke alarms. Experts say the purchases show the company that was built on an ad-and-search empire may be evolving in a very different direction. A Canadian internet service provider was ordered in February to hand over the names and addresses of 2,000 customers alleged to have illegally downloaded movies to a U.S. movie production company. The Federal Court decision meant those customers of ISP Teksavvy Solutions could eventually receive a letter threatening legal action from Voltage Pictures, the company behind films like The Hurt Locker, Dallas Buyers Club and Don Jon. However, the process would be monitored by the court to protect the customers. Privacy experts were more concerned in April, after the federal government proposed a new law called Bill S-4 that would let companies share customers&apos; information among themselves without court oversight. A critical security flaw in Apple&apos;s mobile and Mac operating systems was revealed in February. The bug could make it possible for hackers to monitor the exchange of potentially sensitive information among users of Apple devices. The company released fixes to address the problem, but some security experts said hackers could soon find a way around the patches. A "serious vulnerability" in software used to encrypt sensitive data like passwords and banking information on websites was discovered by security researchers in April, causing panic across the internet. 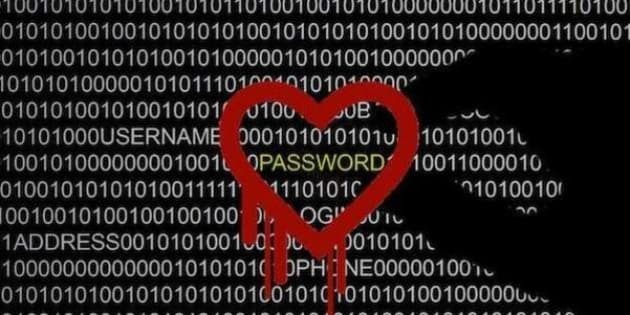 The Heartbleed bug affected a popular version of the OpenSSL software code, which could allow anyone to eavesdrop on communications and steal data without being detected. Big web services such as Yahoo scrambled to patch the bug. Meanwhile, the Canada Revenue Agency website was forced to shut down during tax filing season after the bug was used to steal 900 social insurance numbers. A 19-year-old London, Ont., man was charged in the attack. Online reservations for a futuristic hovercraft that lets you zip smoothly over rough terrain by flying up to three metres above the ground opened in May. The Aero-X hover bike, made by California-based Aerofex Corp., is expected to hit the market in 2017. The company is asking for a refundable $5,000 US from those who want to ensure they get a chance to buy one of the bikes for $85,000. The company has been releasing videos of its prototype in action since 2012. An electric car that could theoretically drive from Toronto to Halifax without having to stop for a recharge was demonstrated in Montreal in June. The car contains a special "aluminum-air" battery that can extend its range by 1,600 kilometres. It was developed under a partnership between Israel-based Phinergy and Alcoa Canada. Thousands of birds a year are set on fire in mid-flight as they fly over a solar plant in the Mojave Desert, U.S. federal wildlife investigators reported this summer. The plant, which opened in February, uses 300,000 mirrors to concentrate solar energy onto three boiler towers to produce steam and generate electricity. Investigators want a halt to a bid to build an even bigger plant until they know exactly how many birds are dying. Apple caused a buzz with the release of the latest version of its mobile operating system in September. Among the new features in iOS 8 were a health app, the ability to share iTunes, iBook and App Store purchases among family members and the ability to start a task on one Apple device and finish it on another. The long-rumoured Apple Watch, the company&apos;s first wearable device, was unveiled in September. Apple also introduced two new iPhones, including the supersized iPhone 6 Plus and Apple Pay, a system for using your iPhone to make credit card payments at stores.